U.S. schools are not doing enough to protect students from drinking water contaminated with lead, according to a new report out from the Environment America Research & Policy Center and U.S. PIRG Education Fund. The report found “a pattern of widespread contamination of drinking water” at schools nationwide. Just nine states and Washington D.C. have mandatory testing laws and there is currently no federal rule requiring schools to test their drinking water for lead if they get their water from a public water system, reports CBS News’ Anna Werner. A government study last year found only 43 percent of school districts said they test for lead in drinking water. About a third of those districts said they found elevated lead levels and many parents likely have no idea their children may be drinking it. Julie Ma preps water bottles for her five- and six-year-old daughters to take to their Boston elementary school because water fountains there were turned off due to lead contamination. That was three years ago. Since then, the district has brought in bottled water for students to drink. She’s right. The report, which reviewed school drinking water standards in 31 states and the District of Columbia, found regulations in most states are “too weak” to protect children from lead contamination in their school’s water. 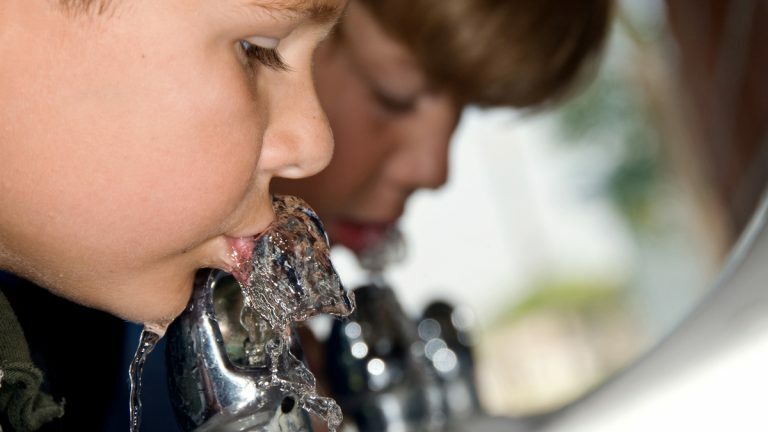 “Of the 32 states, including the District of Columbia, that we surveyed, 22 of them are failing to protect their kids from lead in drinking water,” said John Rumpler who co-authored the report. But Rumpler said the federal government needs to step up too, with more funding and a stricter standard for lead since children’s health experts agree that no amount of lead is safe for children. On Wednesday, EPA administrator Andrew Wheeler told CBS News he plans to update drinking water regulations. “This is regulation that hasn’t been updated in over 20 years and this is a proposal that we’re gonna be putting out this summer that I think is gonna help a lot of areas make sure and ensure the public that they have safe drinking water,” Wheeler said. Wheeler says as part of that the EPA will look at the possibility of requiring testing for school drinking water. If you’re a parent and want information about your child’s school, you’ll have to reach out to your school district. And, again, pediatric experts say there is no safe level of lead exposure for children; it impacts their growth and learning. Posted in Accountability, Advocacy, Arming Teachers, Bus Safety, Charter School, Department of Education, Education Budget, Educators Protest, Evaluations, Every Student Succeeds Act, Failing Schools, Funding For Education, HBCU's, Higher Education, Janus, Mental Health, No Child Left Behind Act, Online Education, Parents, Pension & Salary, Retirees, School Choice, School Closings, School Safety and tagged "Standing Strong for Public Education", #iBelieve, Accountability, Accountability System, Advocacy, Department of Education, Diversity, Education, Education Funding, English Language Learners, Equity, Every Student Succeeds Act (ESSA), Failing, Failing Schools, Federal Education Policy, HBCU, High-Needs Students, NEAExecutiveCommittee, Pension, Pensions, Public Education, School Choice, School Nurses, School Safety, State Budget, Students, Tax, Testing and Accountability. Bookmark the permalink.